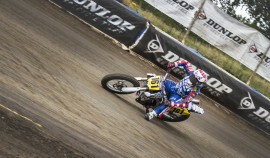 Johnny Lewis started racing professionally at just 16 years old and quickly became one of the rising stars in the AMA Supermoto. 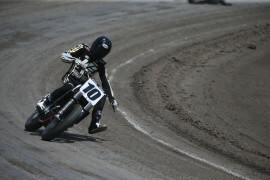 He later decided to return to his flat track roots by racing in the American Flat Track series, taking multiple podiums and then his first flat track national win in 2012 at the Daytona Short Track. 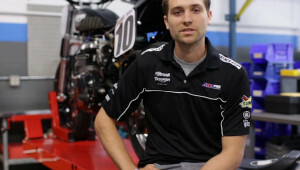 When he’s not racing in select flat track events he’s running 10 Training – now called Moto Anatomy – a training facility he founded in 2015 to offer riders at every level customized training in flat track, off-road riding, motocross, supermoto and more. 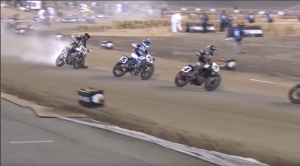 Riding the RMR Racing/KE Motorsports Indian Scout FTR750 in the Twins class for the 2018 American Flat Track season, Lewis has had three top-10 finishes this season with a best finish of 5th place at the Atlanta Short Track. 2017 Johnny Lewis finished 16th in the AFT Twins class for the 2017 season. He raced in six main events and had five top-10 finishes throughout the season. 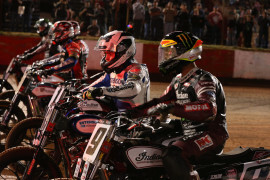 His best finish came at the Lone Star Half-Mile where he rode an Indian Scout FTR750 for the very first time and passed Bryan Smith on the final lap to take 3rd place. 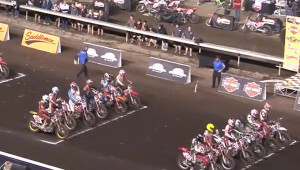 Made five GNC1 starts with a best finish of fifth at OKC Mile. Also raced at the X Games, where he finished seventh. Raced for Lloyd Brothers Motorsports/Ducati. 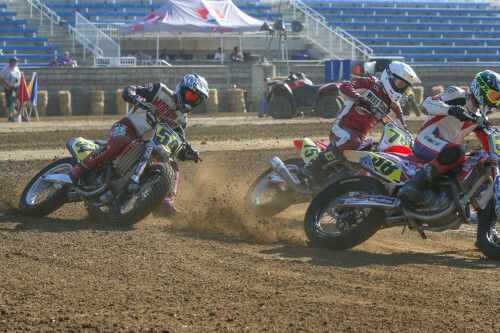 Posted two top 5s in six GNC1 Main Event starts, with a best finish of fourth at the Du Quoin Mile. Raced for Lloyd Brothers Motorsports/Ducati. 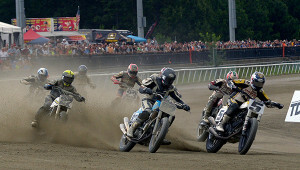 2014 Running a limited GNC1 schedule, Lewis reached the main event at Springfield and Colonial Downs. 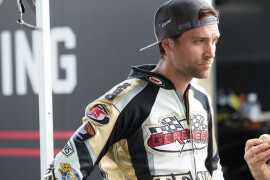 2013 Lewis finished in the top 10 twice en route to a 15th place finish in the overall GNC point standings. 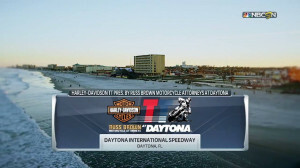 2012 Won the first race of the season at Daytona. Only started six races and made four top 5 finishes. 2011 Lewis earned seven Top10s and 5 Top5s, earning a best place finish of second-place at the Daytona Flat Track and at the Hagerstown Speedway. Raced with Scott Powersports Kawasaki/ Honda. 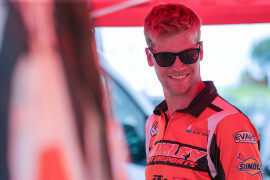 In 2015, Johnny Lewis was thrust further into the spotlight as the teammate for Troy Bayliss, the Australian road racing legend who is running five AMA Pro Flat Track events this summer.